Please introduce yourself and your background, where is your family from in Japan? I’m from Shimane, I grow up in a beautiful countryside. I studied there until the end of the university. Then I came to France to study music in Strasbourg Conservatory. Now I live in Strasbourg, and I’m involved in several contemporary music ensembles like l’Imaginaire Musique d’Idées, Ensemble Linea, and Oh ton-ensemble. Education is also my passion, I teach the flute especially to young people in two music school in Strasbourg. Do you think it is a natural progression to study music in Japan and then in Europe? I think my case is not like a lot of professional musicians. I studied music education in University of Shimane in the faculty of education. I was not thinking of becoming a professional musician until the end of my study. When I was in the last year of university, I met Mario Caroli, one of the greatest flutists today, in Akiyoshidai Contemporary Music Festival, and I decided to study with him in Strasbourg. So “studying in Europe” itself wasn’t my purpose, my purpose was studying with him wherever it could be. I can say that everything changed after that. Does this kind of experience give you a strong grounding in different forms of music? I remember the first concert that I saw right after I arrived in France. It was my teacher’s recital in a beautiful church. Everything was so special : the sound in a church with a long reverberation, the frescoes on the wall, and the atmosphere that I had never seen in Japan. It was a strong choc for me. This experience pushed me to go to listen to as much concerts as I could to discover new things : contemporary operas, theater musical, installation, contemporary dance, etc. Little by little, I started to join in professional groups, and I became involved in this kind of musical scene. Today, I feel that I have a luggage with all these things that I would’ve never seen in my town in Japan, in which I continue to put new things, and it gives me the energy to create a new project. To what extent do you feel that your music is influenced by your Japanese roots? 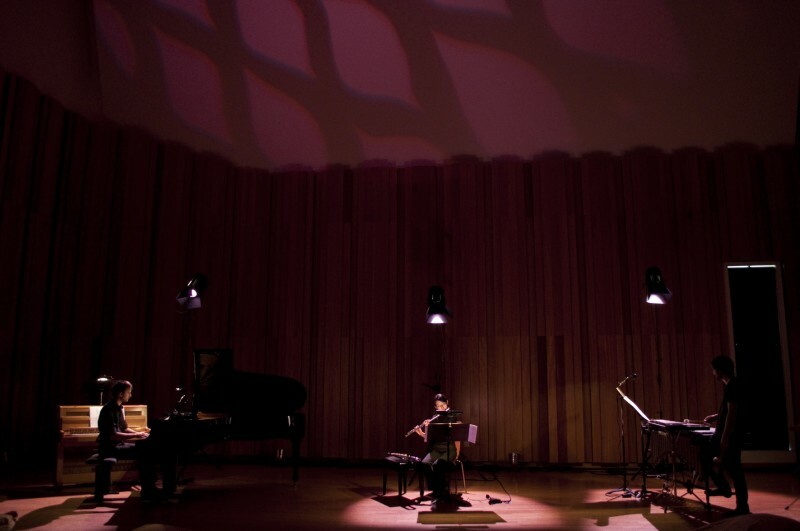 It’s difficult to say… I performed a concert with Japanese contemporary music two months ago. With Keiko Nakayama, a Japanese pianist living in Cologne, we played 7 pieces of different Japanese composers. The way of taking time, breathing, and gestural idea of these pieces were all so clear and natural for me. I think there’s something we cannot explain with a notation : musical gesture. I think my idea of musical gesture is naturally “Japanese”. So when I perform the music which shares it, I feel natural, like “speaking Japanese”. You have contributed to a number of CDs, can you tell us this experience of recording for Cds? My first experience of recording was the CD of my teacher, Mario Caroli. This CD was recorded in the marvelous concert hall in Akiyoshidai, during the festival that I talked about before. So it was a very special moment, to play with my teacher in the place where everything started. I was very happy. Another very important experience of recording was “Del vero e del Falso” of Daniele Bravi, italian composer. We met each other during our study in Strasbourg, he was the first person who dedicated his music to me. The CD was recorded after ten years of our friendship, which was a very special gift for me! I cannot talk about all the recordings, but every experience is special. And I’m happy that every recording is related to a special moment of my life, full of friendship and beautiful memories. Now I want to make my first solo CD. It will be also a very special experience. How is your feeling different to when you perform in a live concert? I feel more free in a live concert. The energy of the moment is very important, the feeling of communicating with public is also very important for a live concert. A recording can be somehow stressful because we want to play everything perfectly, and sometimes it gets more difficult to be perfect when we try many times to get one perfect take. But then, the recording becomes a personal object that we can keep forever, what we cannot do with a live concert. Can you tell us about your group ‘L’Imaginaire, musiques d’idées’? I am one of the founding members of L’Imaginaire Musique d’Idées, a group of musicians based in Strasbourg. We founded the group to create a kind of utopia where we can search the deep and sincere way of musical interpretation, to work with composers until when we find the best way to create something, to feel ourselves with a strong conviction of what we present to a public. The system around the professional world doesn’t always allow us to do it, but we believe in the possibility of such a personal research of utopia. When we are deeply convinced of what we play, something touches the public. “Visioni” by Eric Maestri is one of the projects in which we put all our strong convictions. It was played in Biennale in Venezia. Do you have any concerts coming up? Since last year, l’Imaginaire organizes several concerts with comments on each piece of a program. Sometimes people are afraid of contemporary music, because they think they should “understand something in a correct way”. We try to get rid of this idea, by talking about each piece to give just one “key” with which each person can listen to a piece in a personal way. We have a series of this kind of concert in Rosheim in 2015. How often do you perform in Japan? 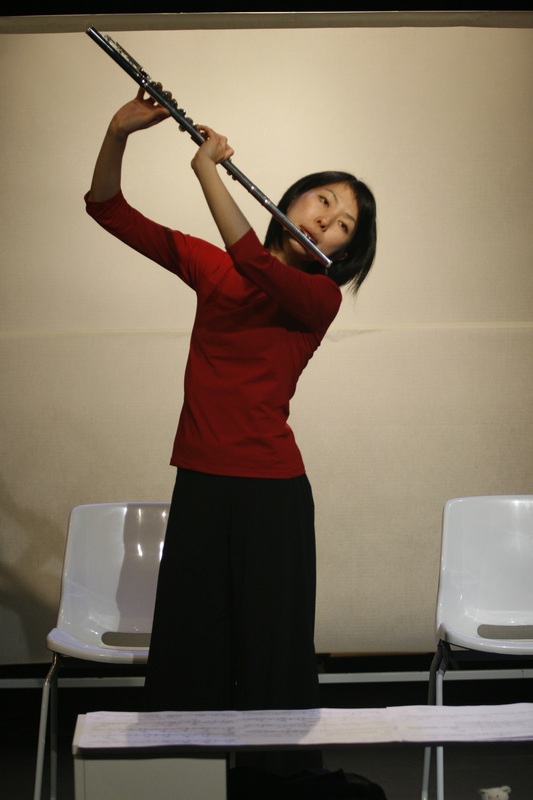 I perform every summer in Akiyoshidai contemporary music festival in August. Seeing my family and my friends, eating good food… Finding some nice pottery works is also one of my favorite things to do when I’m in Japan. What do you think about Japanese crafts? Japan has such a great tradition of high quality crafts. It’s in general very elegant and simple but has always a very refined taste. I think one of the specials qualities is that the Japanese traditional taste can coexist with a very modern taste. So we can always recognize “something Japanese” even in a very modern style. It’s like what I was talking about musical gesture, that’s something we cannot explain but we can feel. I like in particular Japanese pottery and paper works. I’m proud of the Japanese culture of craft work, base on a long history, which never stopped developing by following the modern tendency.